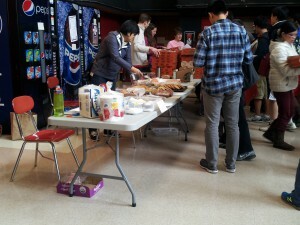 The Washington State Mu Alpha Theta competition was held yesterday, March 26th. 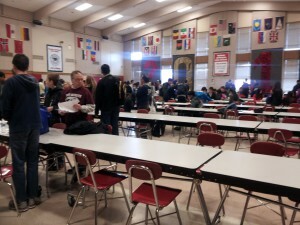 After attending it at Thomas Jefferson High School, here is a brief recap of my experience with the event. To me, the biggest thing that stands out about Mu Alpha Theta is the number of trophy opportunities. 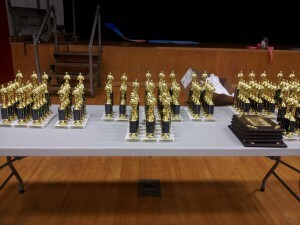 Mu Alpha Theta offers many different tests, and most of these tests award trophies to top-placing participants. For example, during lunchtime alone, there are 6 different optional tests to take. For a detailed breakdown of the different tests, refer to the previous post here. Look at all the trophies! 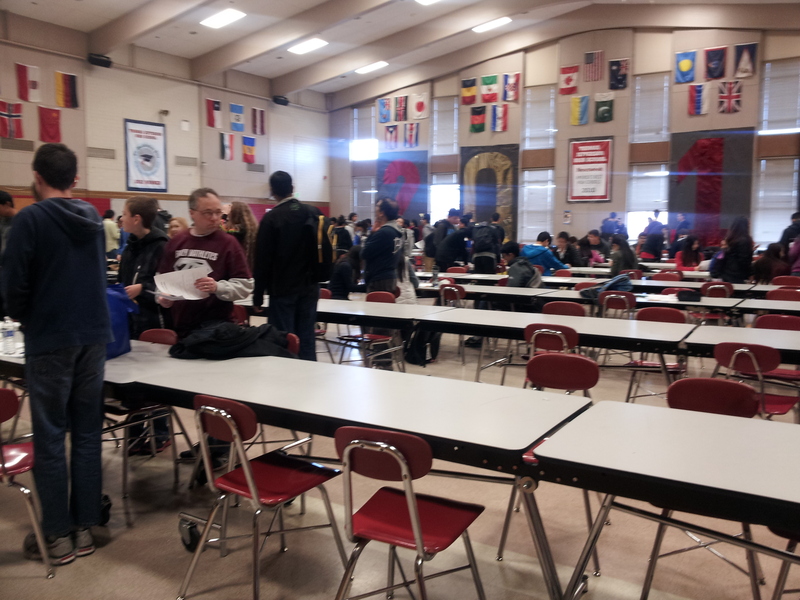 Mu Alpha Theta is a long competition, lasting roughly 8 hours depending on how early you show up for registration. Taking so many tests can become strenuous, especially since you don’t have a team to work with. However, the variety of different tests is interesting, and there are fun team activities such as Relays and Jeopardy. 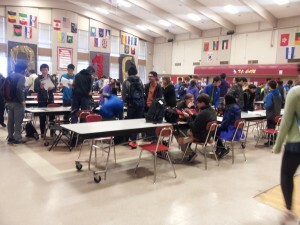 After a test in the cafeteria. One of the testing locations. On a side note, Thomas Jefferson High School always holds a fantastic bake sale during Mu Alpha Theta. It’s quite popular with the competitors. Sweet treats during the competition. 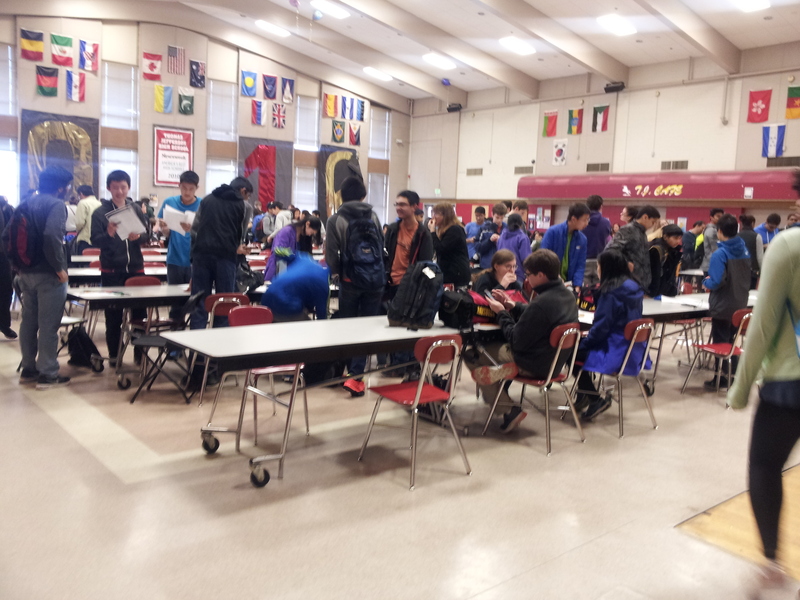 Mu Alpha Theta is definitely worth competing in for the variety of tests and the numerous trophy opportunities. Have a good nights sleep so that you can stay awake and alert all eight hours of the competition! See you next year.